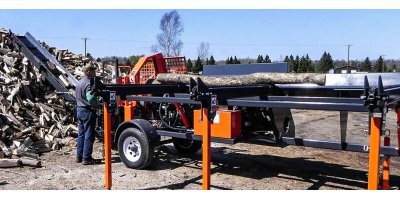 Compact size yet heavy duty the 11 HPWS is ideal for most firewood operations. With a fast 6 second cycle time the 11 HPWS can split up to 3 cords/hr. If your fast enough to feed it. 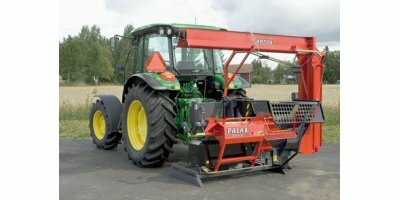 By PALAX Ylistaron Terästakomo Oy based in Ylistaro, FINLAND. By Woodland Mills Inc. based in Port Perry, ONTARIO (CANADA). 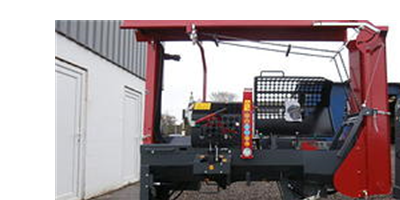 Tajfun Firewood Processors, established under the brand name RCA, are essential forestry accessories for processing of wood biomass – logs into firewood. 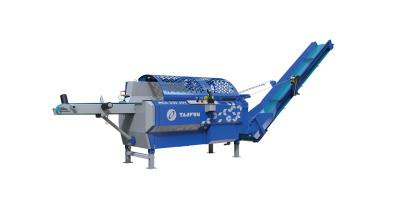 Tajfun product development is constantly directed towards optimal and simple operation for machine operators. You will choose and enjoy Tajfun. By Tajfun Liv d.o.o. based in Postojna, SLOVENIA. 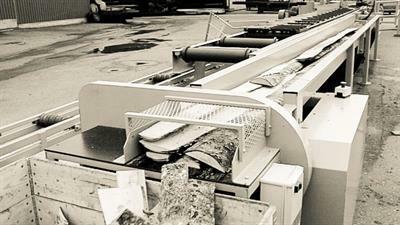 Crosscut saw for slabs processes the waste wood and slabs automatically into firewood. Receiving end of the circular sawmill or after the cross conveyor in sawmill line. Pneumatic blade and infeed belt movement. Length of the firewood adjustable. Automatic operation. Firewood machining centre, half automatic and compact, with splitter unit in line, controlled by one or two operators. Ideal for short and mountain mixed wood , it works also branchwood, waste and sawmill and carpentry refile. 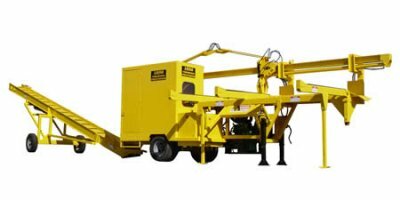 It works material with a diameter up to 470mm and length up to 6000mm. Firewood machining centre, half automatic and compact, controlled by only one operator. Ideal for trunks, it works also branchwood, waste and refile of sawmill and carpentry refile, curved wood, short and mountain mixed wood. It works material with a diameter up to 470mm and length up to 6000mm. 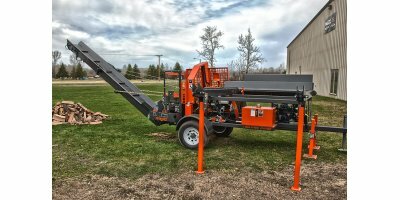 Timberwolf’s TW-PRO MP X firewood processor takes single operator capability to the next level. 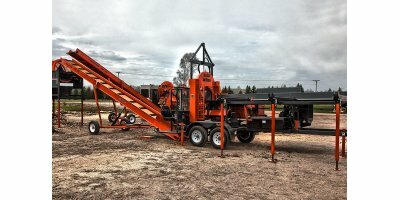 Sporting all the same goodies as the TW-PRO MP, this firewood processor is equipped with an even more robust 47 HP Mitsubishi power plant, and features an even faster cycle time. 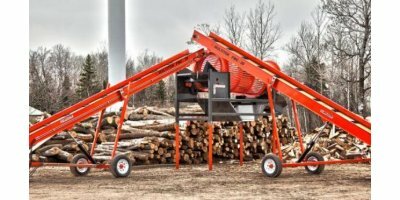 A versatile and fast Firewood Processor for efficient cutting and splitting of trees up to 25 cm in diameter.The conveyor can be swung by about 2,2 m to the side and it can be locked in five different positions. This speeds up the loading operation notably. If you are processing firewood in bags, you can use two stands.